As the summer here in Perth got hotter and hotter (and it continues into autumn), all I wanted to wear were loose, cotton, sleeveless dresses. I had dyed this piece of double gauze in an old vat of Japanese indigo. The colour in the vat was almost exhausted and barely there, but resulted in this soft, dusty blue, which I loved. 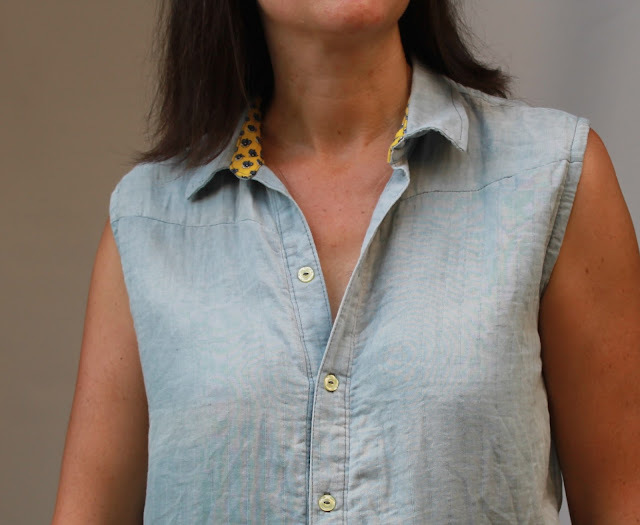 This pattern was based on the Named Wenona shirtdress (previously made here and the shirt here), but I made a few changes. The Wenona dress pattern has a seam at the waist, which I eliminated. I also took in the sides quite a bit so the dress could be worn without a belt. I left off the sleeves and cut the top shoulder piece down to fit. I kept my favourite feature of the button on the back collar. The collar stand and back yoke were lined with a yellow and blue patterned cotton scrap given to me by a quilting friend. 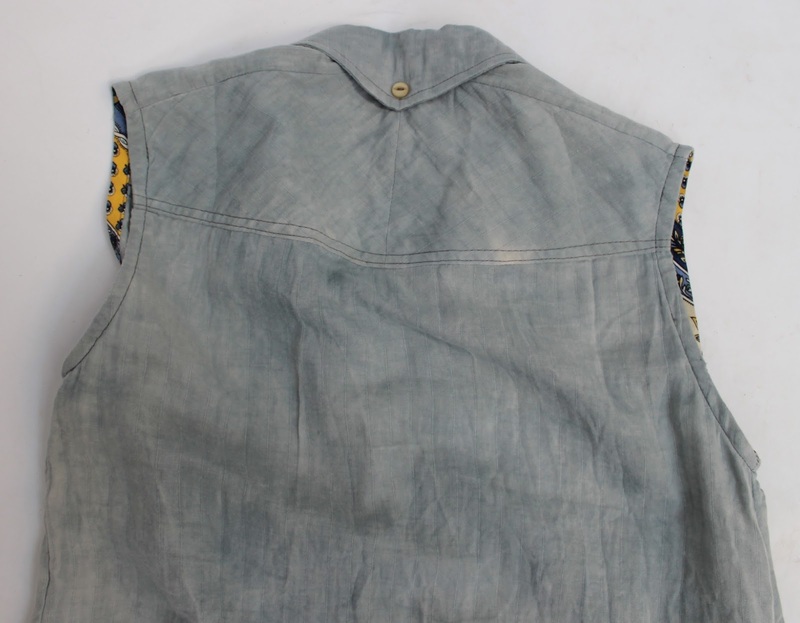 And I used pale yellow buttons to keep the contrast going. 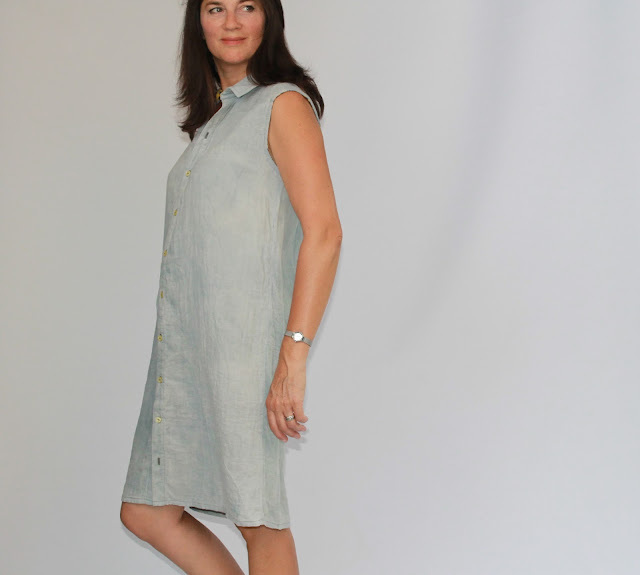 The slightly mottled, pale denim blue seems perfect for the relaxed style of this dress. I used grey thread for some subtle topstitching. I have worn this dress so much. It is very, very casual, but just so comfortable. I love it. Thank you Sue. 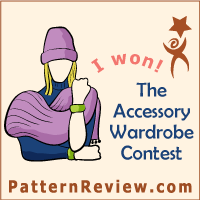 It is a fab pattern! 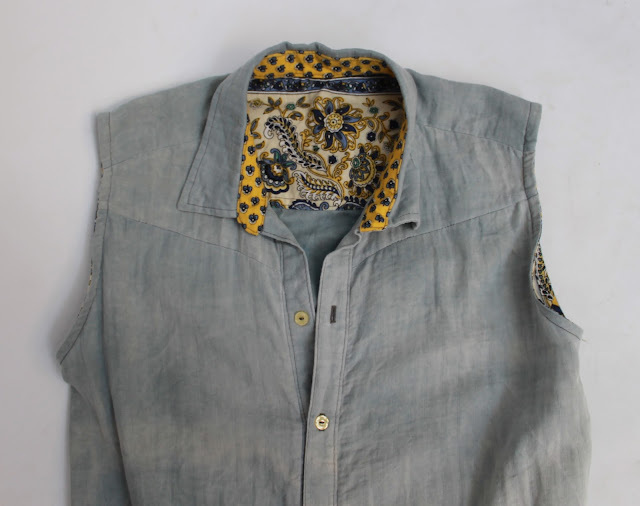 I wasn't really taken with the Wenona but I like this simple version and your pale indigo fabric. Thank you Valerie. I'm all for tweaking a pattern to get what I want! 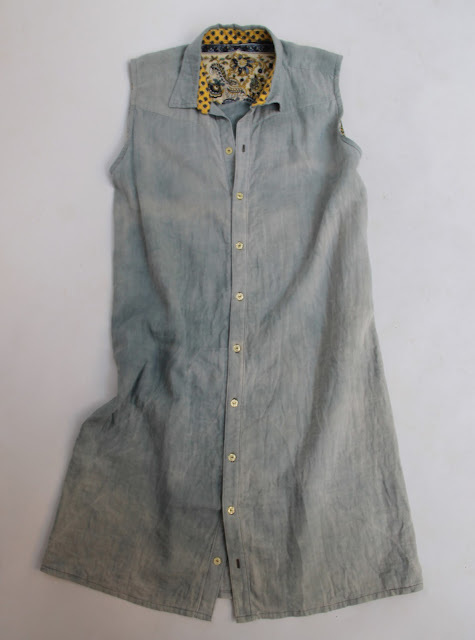 The soft mottled blue and the casual style of the dress are a perfect match. I love the glimpses of the bright cotton insides. I can see why you love this dress.